The timing isn't great, but I am kind of sort of unplugged right now. 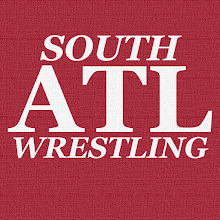 Spending some quality time with my family is taking precedence over South Atlanta Wrestling for the next week basically. I will be watching WrestleMania 32 tomorrow with my son. I believe it will be an excellent show despite the lackluster build. Obviously, I am most interested in Triple H v Roman Reigns for the WWE World Title. In my mind, you have to strap Reigns here no matter the response he will get from the crowd. If you need to shKe things up with a heel turn or whatever after that then so be it. The end of Reigns v The Authority needs to end with him standing tall and in possession of the title. Brock Lesnar v Dean Ambrose will also be very interesting. I fear we will get some Wyatt interference, but again Dean HAS to get the win here. You cannot keep Lesnar strong at the expense of all your other talent. With Dean this is especially true as the people are blind him, he just needs a bit more legitimacy. A win over Lesnar gives him that. The other match that will carry this is Undertaker v Shane McMahon. I am on record as hating everything about the build of this match and all that. I am also on record as saying I think this will be an entertaining spectacle. I might hate the conflicts of rooting interests they've setup her, but the match itself should be exciting if not a technical masterpiece. While I am not excited about AJ Styles taking on Chris Jericho, I am very excited to see AJ wrestle at The Show of Shows. I have been a huge fan since I first saw him in NWA WildSide in Cornelia, GA. The Divas Title situation intrigues me as well. The Divas Revolution may have largely come off as forced and phony, but it's finally gotten us to this match and it feels really important. That's a good thing. WrestleMania is always an exciting time to be a wrestling fan. Again, despite the questionable build I think we will be pleasantly surprised by the quality of the show. Mania and the Raw after will be must-watch and I intend to see both. Whether I discuss them here before next weekend is a different story, but you can be sure I will be watching.